Serving the Durham Region for over 30 Years. ​Designs that fit your unique home​. 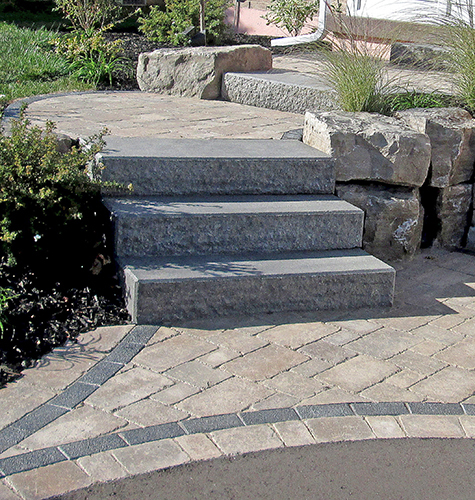 ​If you need a dynamic front entry, a walkway for along your house, or an apron for your drive, interlock stone offers many opportunities for you. The options and brick choices are limitless. With each selection comes a unique look and style to suit your property. 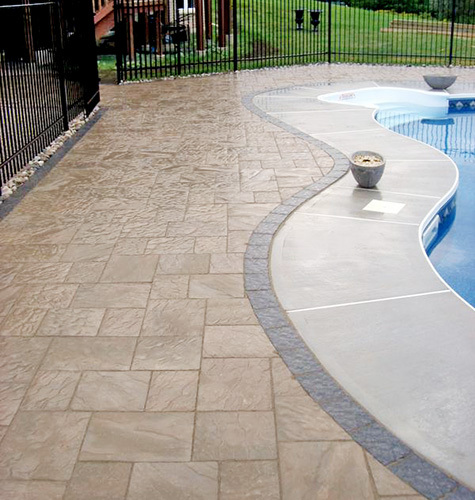 We have experience with many styles of traditional interlock bricks, flagstone, square cut flagstone, natural stone, and much more. Our installation process is thorough and proven effective. We only work with suppliers who are able to source the highest quality of materials to ensure your job is a show stopper and will last for years. Pro Lawn Landscaping ensures things are done right the first time, so that it is the only time a job needs to be completed. Interlock bricks require several stages of excavation and detailed, painstaking preparation. Using the latest upgrades in interlock and design, we always take care of the fine points to ensure our work will be long lasting. Our distribution sources include all the major interlock manufacturers; Unilock, Oaks, Permacon, Techo-Bloc and Brooklin to name a few. Pro Lawn makes sure we are always up to date with the industry’s advancements and implement the latest interlock design and technology. "​Pro Lawn provided us with quality service and an excellent level of satisfaction." 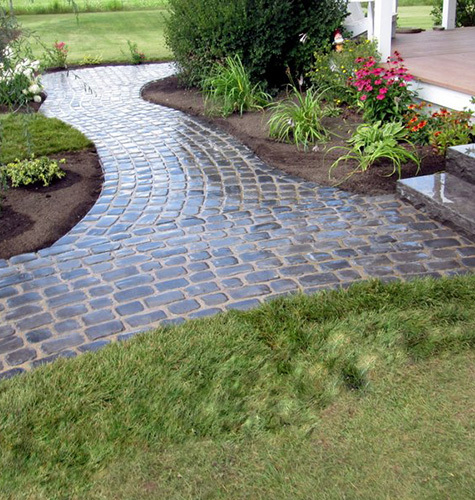 ​Pro Lawn’s front step and flower bed design encompassing the walkway has enhanced the appearance of our home. The crew members were friendly, polite, courteous and very professional. Pro Lawn went above and beyond far surpassing our expectations. They followed the estimate with no unexpected add-ons in a timely manner with no delays. Explore the options available for your project. ​ Get an estimate & project timeline. ​​​​​ Learn how to maximize the space available. The 2019 landscape season will soon be here and we are already booking up. Give us a call for a professional, no obligation consultation to see if we are the right company for your next landscape project! We are always looking for qualified and trustworthy people to join us. If you would like a chance to be apart of our team of dedicated professionals please send your resume to our office.